In our opinion, this is the only approach that makes sense. We are aware that each lawn we visit will have a different soil structure, soil PH, grass species composition, moss and weed spectrum etc… Therefore, everyone we send to treat your lawn will be a qualified Greenkeeper who is a ‘dab-hand’ at quickly analysing your lawn and selecting (even mixing if needs be) the correct fertiliser for your lawn. This also applies to the selected (or mixed) weedkiller. Ask your current Lawn operative what NPK formulation and weed kill mixture he is using on your lawn and why. If the answer is not convincing, or if you find your lawn looks good but you’re still unsure whether you’re getting the best out of your lawn, click here or contact us on 0800 612 5567 for a free lawn survey and a no obligation quotation – we will explain exactly what treatment your lawn needs to achieve its full potential. In addition, we welcome all of our customers to quiz our Greenkeepers – they know exactly what they’re talking about. The result is a lawn that will look the best, and be the healthiest it possibly can. 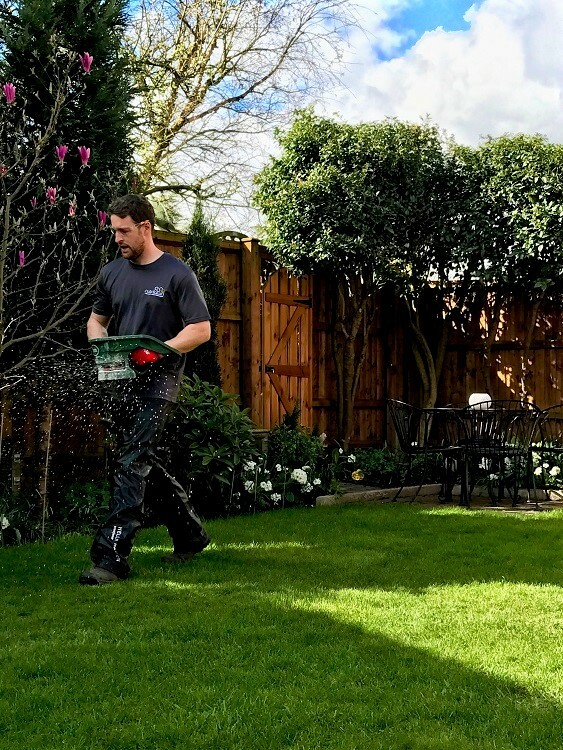 If, at your lawns healthiest, it doesn’t look as good as some of the lawns you’ve seen or what you had in mind, we can arrange a Lawn Renovation. This is rarely needed, but often desired. In this process, we will remove up to 100% of the lawn’s thatch, remove the majority of the sub-surface thatch (some sub-surface thatch is needed to moderate root temperature) over-seed the lawn with the correct species of grass for the environmental factors, ensuring these species are the greenest available. We will follow-up by providing the perfect mowing schedule and process for your lawn. 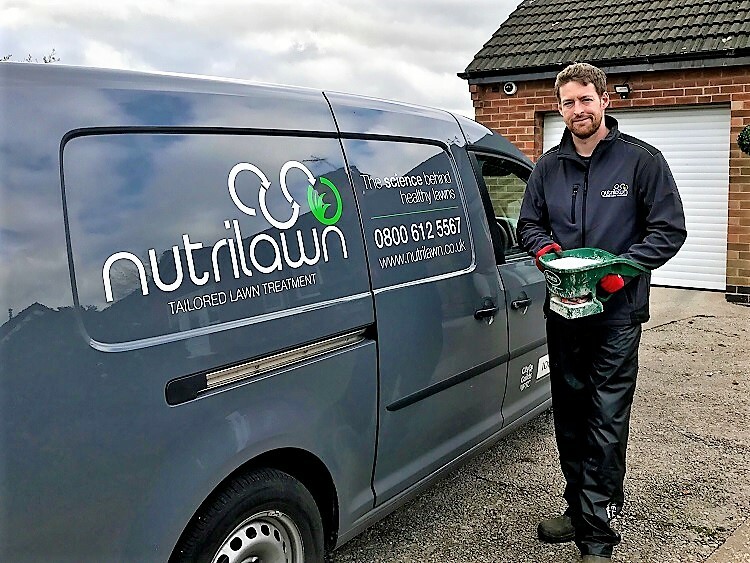 This means, that, for 1-2 months, your lawn will be mowed and maintained by Nutrilawn’s perfect mowing schedule; in which we use sharp, sterilised blades, new strimming wire and mow to a schedule that ensures your lawn is cut at the right time, every time. At this point, we hand your lawn over to your Gardener or yourself with instructions on how to best maintain the lawn we have created – taking into account its grass species, its soil PH, soil structure and environment. All of our feeds are 10-week, slow-release, polymer-coated feeds – they will feed your lawn continuously until we arrive to apply the next one. Effectively, your lawn will be fed all year for the price of four seasonal treatments. 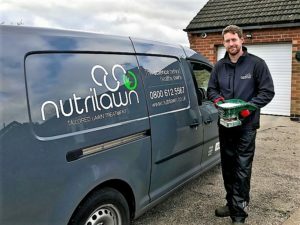 Click here to view our treatment programmes or here to arrange a visit and a Nutrilawn Greenkeeper will analyse your lawn and recommend the best package for you.